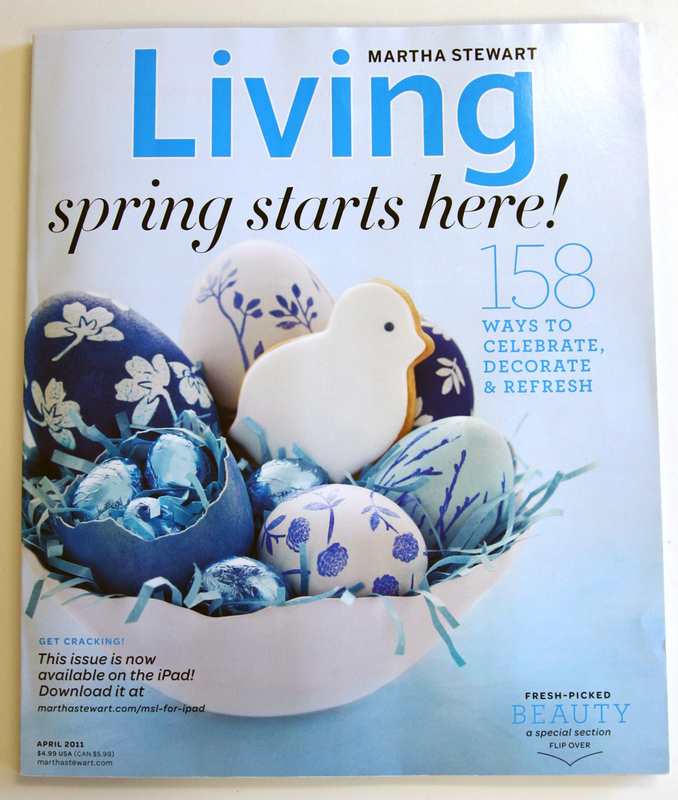 We received an envelope this morning and much to our enjoyment, it was the April Spring issue of Martha Stewart Living. 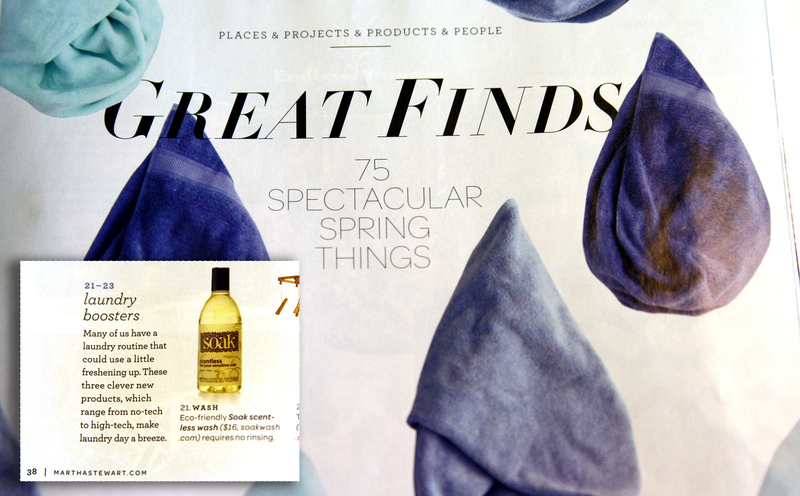 Flip to page 38 and you’ll find Soak featured under “75 Spectacular Spring Things”! It’s been an exciting day for us media-wise as we’ve received news that we’re also in Chatalaine for the April Issue as well on page 89! We haven’t seen it ourselves yet but you can bet we’ll be picking up the issue. I have been reminded of Spring all morning. First it was the brightly coloured fabrics shown on Red Pepper Quilt’s blog. And then these magazine spring issues. Not to mention the sunny skies and melting snow. If you’re anything like me, and can’t wait for spring cleaning time (not because I enjoy cleaning, but because it means warmer weather is just around the corner) than perhaps a brightly coloured Carrie or Phil basin can help you with a few jobs around the house. Clean your blinds. Fill up a basin with some warm water and Soak and dip a wash cloth in the water to wipe down your blinds. It’s amazing how much dust can accumulate on each blade. Wash your winter accessories. Carrie’s larger size makes her great for hand washing several pairs of mittens, scarves and hats all at the same time. If you are a big gardener, the basins are great for outdoor use. They are great for holding soil and fertilizer or to keep your bulbs and roots in one place. Do you have any other ideas of uses for our vibrant basins? We’d love to hear them.